Detailed analysis of your current environment, reporting on issues and actionable items. Initial maintenance activities, projects, and remediation required to stabilize your technology. 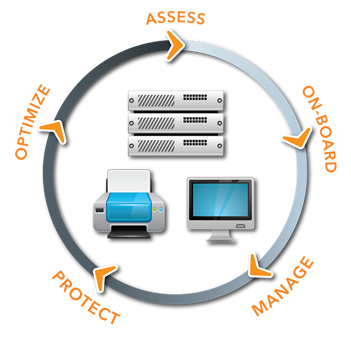 Ongoing delivery of monitoring & maintenance designed to keep your business optimized. Application of industry best practices for security & backup management. Enterprise class technology and staff to keep your infrastructure optimized. Critical issues are identified, reported, and resolved in real time. Find out more about our telephony and communication services. © 2019 Vision Concept Technology. All Rights Reserved.